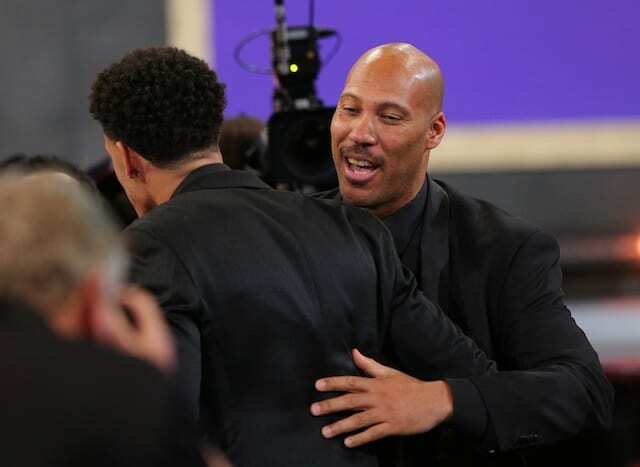 There has been a lot of talk about point guards throughout the league going at Los Angeles Lakers rookie Lonzo Ball, as his dad LaVar has made some comments that didn’t sit well with veterans throughout the league. 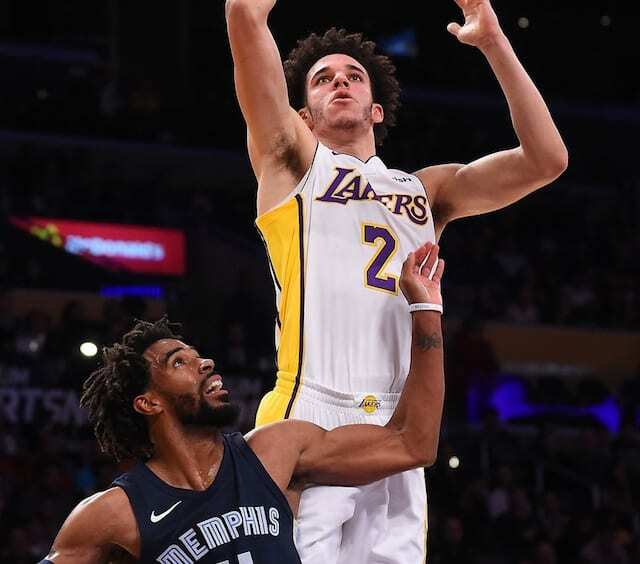 Ball has faced a lot of challenges in his first 10 career games, going up against point guards like Patrick Beverley, Damian Lillard and John Wall, and he faced another one Sunday night in Mike Conley and the Memphis Grizzlies. The Lakers were able to come away with the win to move to 5-5 on the season, as Ball contributed nine points, five rebounds and nine assists. “He’s handled his situation about as good as anybody could,” Conley said before the game. “He seems like a great player, great attitude. All about the team. He’s my kind of player in a sense. I like guys who are unselfish, who are about the wins more than anything else. It’s nice to see a veteran like Conley speak so highly of Ball, who has struggled with his shot early on in his career but is still averaging 8.8 points, 6.4 rebounds and 6.9 assists. There’s no break for Ball as next up he gets to go up against Kyrie Irving and the Boston Celtics before going up against Wall again in Washington. If anything though going up against All-Stars night in and night out will help him grow as a player.